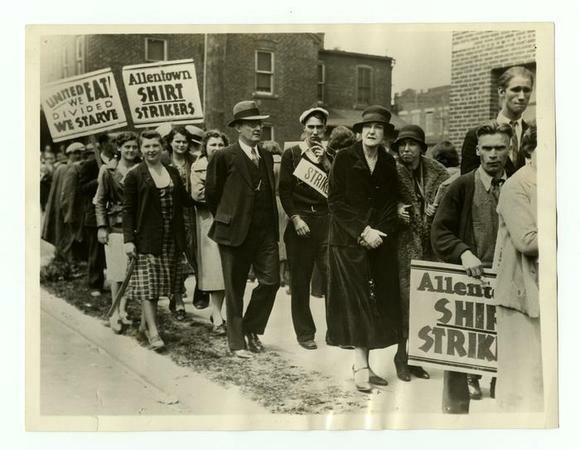 Browsing the HSP digital library I came across Pennsylvania First Lady Cornelia Bryce Pinchot (1881-1960) standing with picketers in Allentown, PA. “United We Eat, Divided We Starve” reads one of the signs. Although someone of higher society posing with the downtrodden was not particularly uncommon in the post-suffrage era (or today) this picture still had me interested in finding out who Cornelia Bryce was. Ms. Pinchot’s husband, Governor Gifford Pinchot, (of the Pinchot-Ballinger Affair) has a state park named in his honor in Washington State. Yet, as a Pennsylvania resident I had no idea who Cornelia Bryce Pinchot was. Her life and views were something I found to be a particularly interesting part of our State’s history. Raised and educated in the wealthy circles of New York and Newport her family was entrenched in industry and politics. Her grandfather was an anti-Tammany Hall Mayor of New York and her father was a New York congressman and friend of Theodore Roosevelt. President Roosevelt would later be invited to the Pinchot-Bryce wedding in 1914. Cornelia often reminded people that she was a politician before she became acquainted with her husband. Both Cornelia and Gifford were lifelong republicans who later followed President Roosevelt’s Progressive Bull Moose party. Cornelia was not afraid of stirring the pot and was not afraid to be exactly aligned to her husband’s politics. The Pinchots both believed in the fight for women’s suffrage though Cornelia did not have the same bravado of war that Gifford held. (She did however, volunteer for the American Red Cross during this time). Cornelia believed that life would be dull if couples were of exactly the same mindset. Speaking before the American Federation of Labor she said that her idea of a “lady” was someone who would meet any challenges as they came and would who never stand on the side of oppression or injustice. Her views on birth control left the editor of the American Catholic Weekly astounded. She viewed women as being chained to the kitchen, making her an outspoken proponent of women’s rights. She argued that a woman’s wellbeing was often lost in the interest of raising a family. Cornelia was active in supporting Gifford’s political campaigns. He was elected governor in 1922 and again in 1930. She used her opportunity as First Lady to continue to promote female enfranchisement and political involvement. She publically spoke in support of President Warren and years later, sticking to her own convictions, campaigned for President Franklin Roosevelt against the Republican candidate Wendell Willkie. 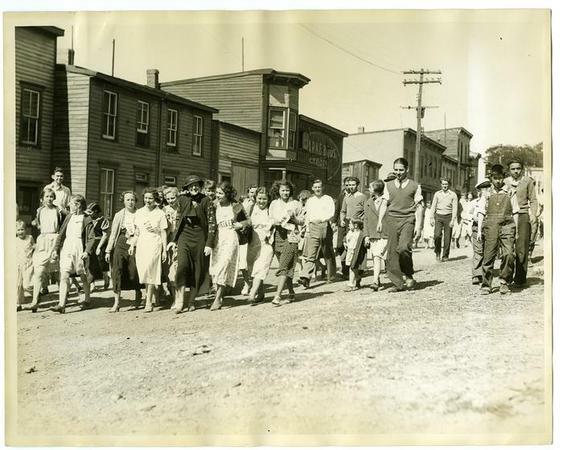 In the 1930s, Cornelia Bryce Pinchot would accept President Roosevelt’s New Deal institutions such as the National Recovery Act, Civilian Conservation Corps and, the Works Progress Administration. She urged workers throughout Pennsylvania to unionize, and had previously advocated for protective labor laws nationwide. She not only assisted in organizing but also helped to financially support labor groups. She would carry these convictions with her as she later ran for congress and even the governorship. Although she did not win either election, she did not let this loss diminish her fight for what she believed was right.